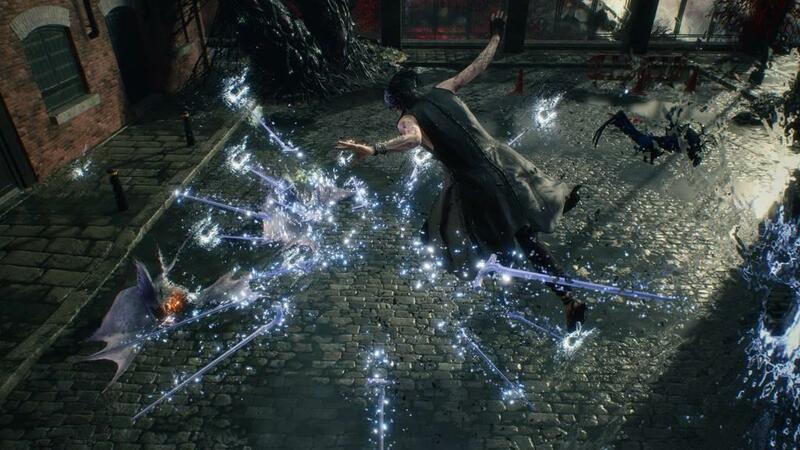 Releasing almost eighteen years after the first entry, Devil May Cry 5 comes hacking, slashing, shooting, and generally raising all Hell, literally. Following three protagonists: the enigmatic V, the fiery Nero, and the devilishly charming Dante; the three rogues fight through hordes of external and internal demons to save the world. Combining the aesthetic of Clive Barker and O.G. Hellblazer comics, the game’s setting is dark as much as it is humorous. A fairly lengthy story with plenty of diverse gameplay options including upgrades, secret missions, and hard to find areas, this, unlike a lot of contemporary releases, feels like the developers had a lot more in mind than just how much money they could make off the little, insignificant things, and instead focused on how much the player could get out of the experience, even just the first time around. The game features an eclectic cast of characters, and most thankfully have a personal motivation that goes beyond killing everything that moves. For those who have played more entries in the series than I have, you’ll probably like seeing the old gang of Morrison, Lady, Trish, but for better or worse, it’s the classic Dante and the newcomers V, Nero, and Nico who get most of the spotlight. The three former characters are seen mostly in cinematics, with Morrison popping up at critical times to provide plot exposition, and Lady and Trish literally standing around. It’s an unfortunate aspect that their inclusion is so limited and their characters are given such short shrift. But the amount of character shown in the latter four more than make up for it, each one oozing with their own sense of personality. Nico, a supporting character who plays the dual role of providing character upgrades, is Nero’s support, constantly berating the characters with her unique southern sass. Nero is young and brash, but ultimately has good intentions for those he cares about. Dante, while also having generally well-meaning intentions, seems to be a bit more self-centered, but is also hilarious. V is mysterious, and, if I may say so, Goth as all get out, and that’s why he’s my favorite. In both gameplay and cinematic sections, they each have a chance to truly show what makes them tic, making me all the more invested in who they are and what they want. What impressed me the most about this game is the sheer variety offered across the three playable characters, both in terms of their respective arsenals and fighting styles. 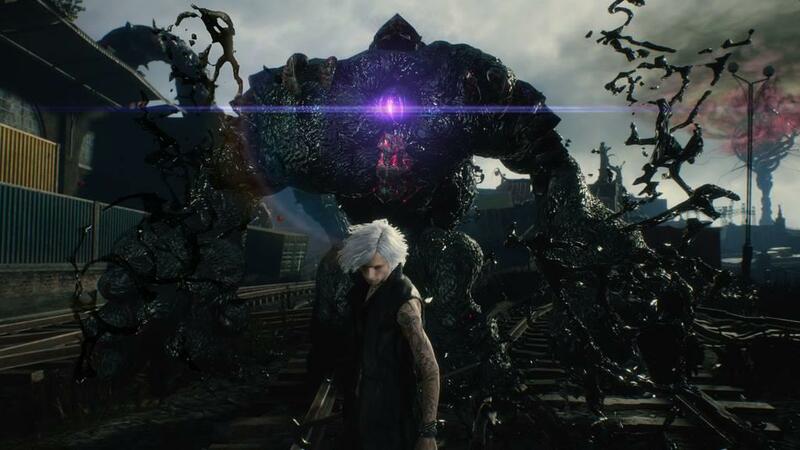 The game starts players off with Nero, who has a sword, gun, and a Devil Breaker, essentially a type of robotic arm that has all sorts of functions and different designs. Purchasing upgrades with in-game currency known as Red Orbs (which I just connote jellified blood cells) players can max out Nero’s library of moves in order to get the most dazzling display of blood-soaked swordplay I have seen in a video game. The number of moves can be a little daunting, but there is always some way to perform most of them with ease, as long as you practice. Mostly, I found myself slicing enemies up in the air, then jumping up myself, to slash at them until they were dead, and that was mostly enough to give me solid scores through many fights. 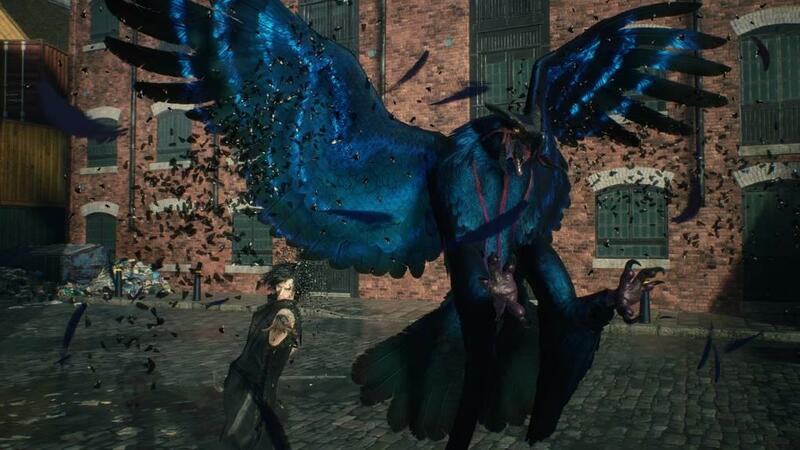 But perhaps my favorite moment came when I was fighting a couple enemies, and through some combination of button-mashing, Nero’s Devil Breaker broke off and he rode it like a lethal flying skateboard. 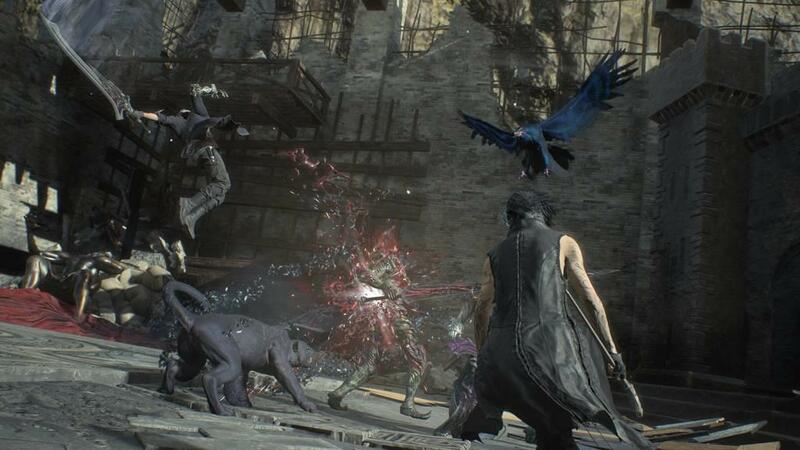 Contrast that with V, the second character players get control of, who retains the control of three demons: one melee-focused, the second range-focused, and the third being a power-up. 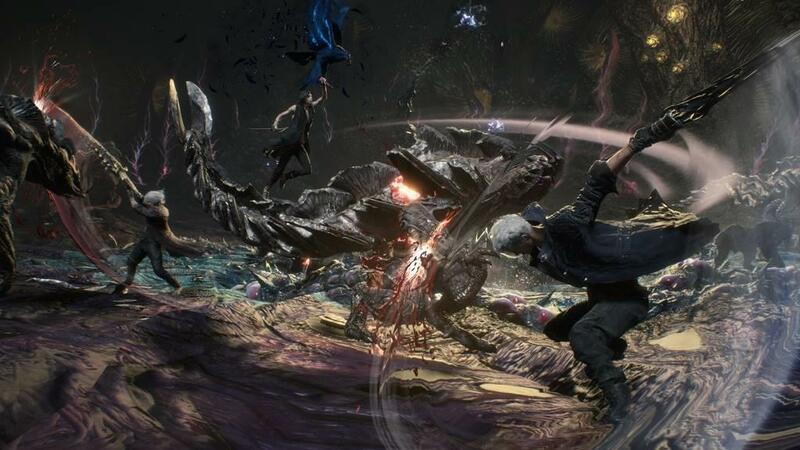 I found V’s fighting style to be preferable, if only because you can direct your attention to more than one enemy onscreen, unlike Nero and Dante. To clarify, V’s range demon, a phoenix with the voice of a knockoff Billy Kristal, can conjure lighting. 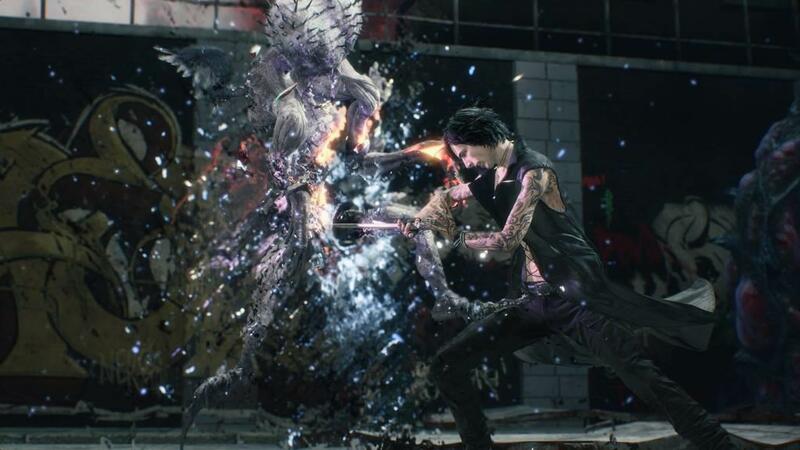 Combine that with V’s melee-focused demon panther and the power demon, Nightmare, and you’ve got a lot of combat options that make V the most unique character to play as. 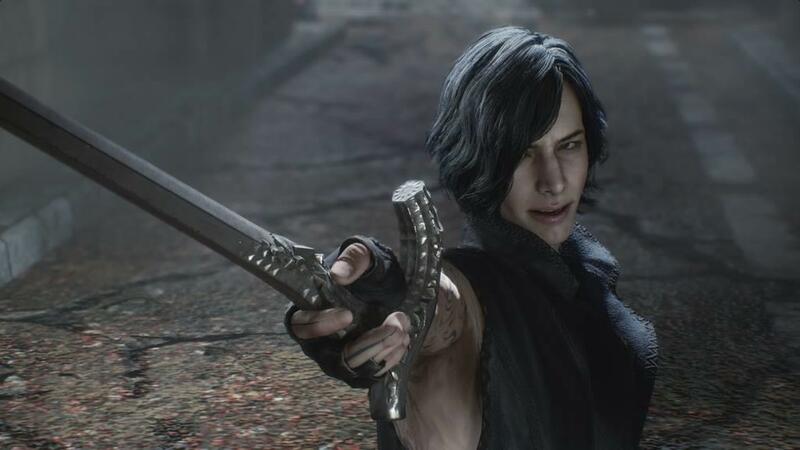 That leaves Dante, the primary protagonist of the games since the first entry. Although he comes in during the later part of the game, players still get plenty of time with him and his wit. Compared to both Nero and V, Dante’s arsenal is tenfold. Bazookas, a cowboy hat, melee gauntlets, swords, a motorcycle, pistols, a shotgun, and a bo staff that doubles as nunchakus round out his toolkit, as well as four unique styles that players can switch at will. Although Dante’s moveset is just as fun to play with as the other guys, I felt that because his playstyle is so complex that it actually proves a slight detriment. But that’s not to say players can’t grasp it, as each item has their own unique approach, and I can’t help but feel that players are supposed to switch between modes often in order to get the most explosive fights. The amount of enemies to be fought is large, but none of them prove too much of a challenge, at least on Human difficulty, which is what I played on. However, with the introduction of each, the game makes a point of zooming in on them, freeze-framing, and then splashing their name onscreen, each and every time. And it does this not just with enemy types, but also with supplementary items like Blue Orbs, which increase health, or Purple Orbs, which increase the power-up stat. It also doesn’t help that, each time a fight is concluded, the game points it out using a cinematic that shows barriers breaking away, taking control away from the player. In some cases this is helpful, because it may show the needed path ahead or a power-up, but it does this trick every time, and I was tired of it after the first five or so times. It slows down an otherwise fast-paced game, and it is a little annoying. A peeve like that is a small price to pay for the amount of content inside each level. For perfectionists, there are rankings that go all the way up to SSS, for completionists, there are secret missions (I only found the one that the game pointed out to me) and aforementioned Blue and Purple Orbs. There’s a lot here, and it’s nice to know just how much was put in here for the player to enjoy. Besides some issues in pacing and the clear indecision on what to do with certain characters, the only other disagreement I have is a small issue with a particular moment late in the story, but to discuss it would spoil it, and I don’t do that. Suffice to say, there didn’t seem to be a whole lot of personal motivation involved, and it felt as if its sole purpose was to pad out the game’s length. 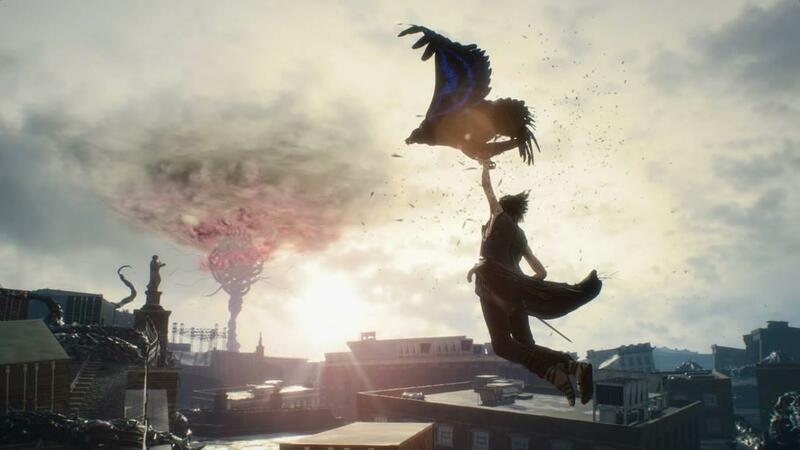 With a reliance on unique and diverse flow of action gameplay and writing that endears players to the characters’ and their story, Devil May Cry 5 is more a blessing. It’s fun, and it brought a smile to my face more than once. That may sound like a one-off comment, but it’s something I find significant when a game can elicit an emotional reaction from me, because it shows that it made me care in more ways than one. 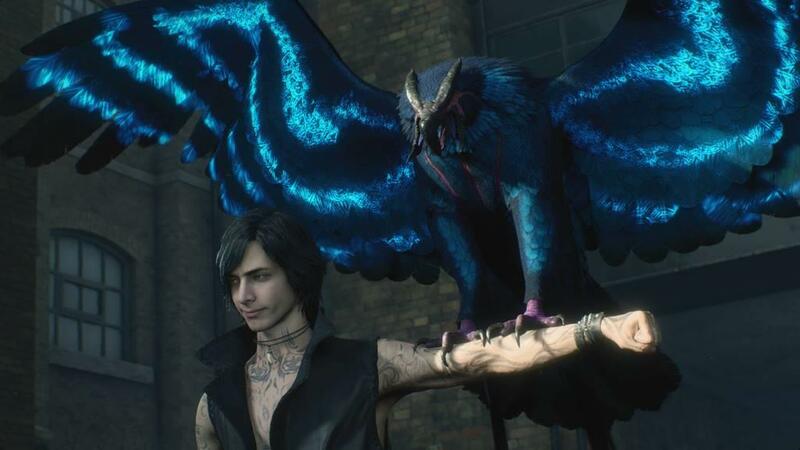 Devil May Cry 5 is frigging great. I think I’ll leave it at that.